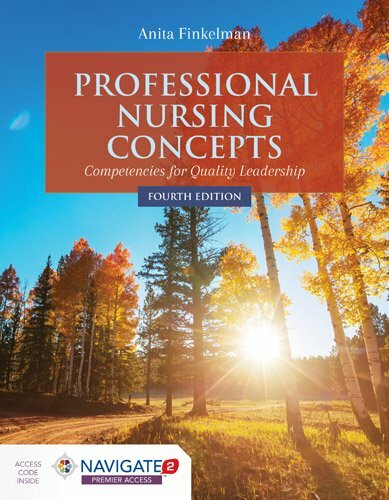 1284127273 -Professional Nursing Concepts: Competencies for Quality Leadership, Fourth Edition takes a patient-centered, traditional approach to the topic of nursing education. An ideal text for teaching students how to transition from the classroom to practice, it focuses on the core competencies for health professionals as determined by the Institute of Medicine (IOM). Completely updated and revised, the Fourth Edition includes coverage of the opioid crisis, Progress Report (2016) for the Future of Nursing Report, Triple Aim, quality improvement and workflow efficacy to name a few. Also featured is content on nursing roles, incivility, expanded roles and scope of practice, patient-centered care, and team-based learning.